Brela is situated about 50km south of Split. 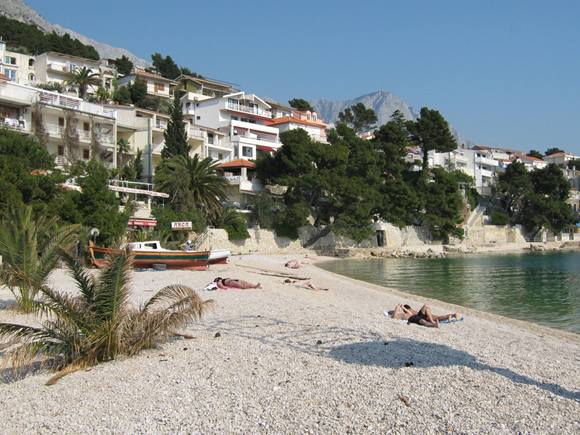 The Makarska Riviera is one of the most beautiful coastlines of Croatia and is famous for its crystal clear water and pebble beaches that go for kilometers – without car traffic. 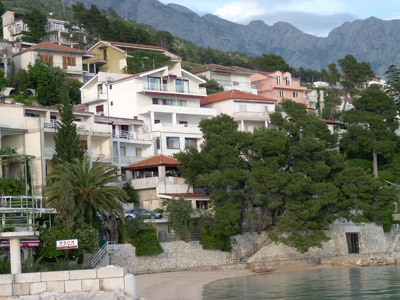 For more than 50 years we have been offering rooms and apartments right next to the sea. Just a stairway leads you through our shady garden directly to the beach.